Though it's frosty outside, there's still time to think about protecting garden beds. In fact, this early snow is a wake-up call. I usually wait until late December to mulch. We may have lost a little ground, so to speak, but don't let it all go just because of a little snow! 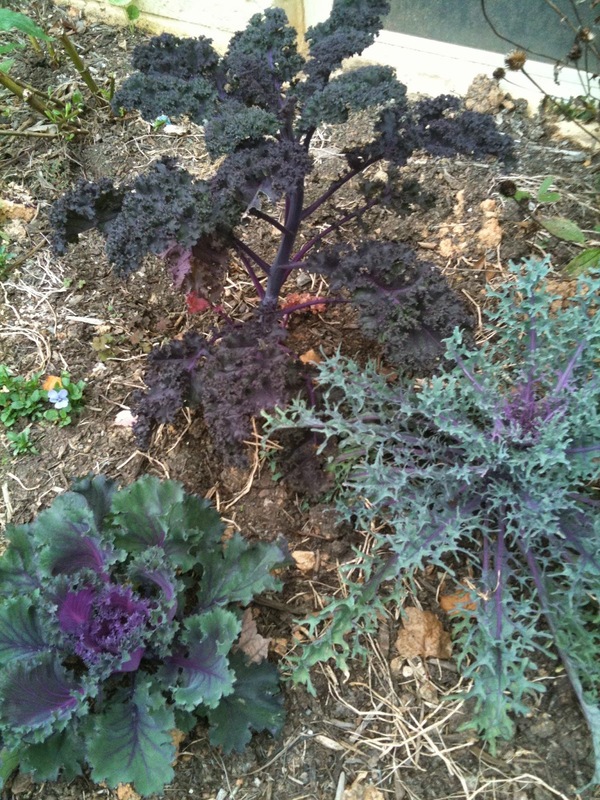 Cold hardy kale mulched with straw. beds for cold-hardy crops, such as spinach, kale, parsley, carrots, evergreen bunching onion, garlic, and spinach. In our other bed, we plant rye grass as a green manure. Also known as a cover crop, a green manure is an organic method for improving soil fertility, as well as for preventing soil erosion and compaction. A green manure is grown over a season and then turned under prior to planting. It restores nitrogen to soil depleted by heavy feeders, such as tomatoes and peppers. Your local garden center or extension office should be able to direct you to the best type of cover crop for you area. Radish is reliable in a cold frame. To prepare a vegetable bed for a cover crop, till under summer plant waste and rake the soil to remove clumps. 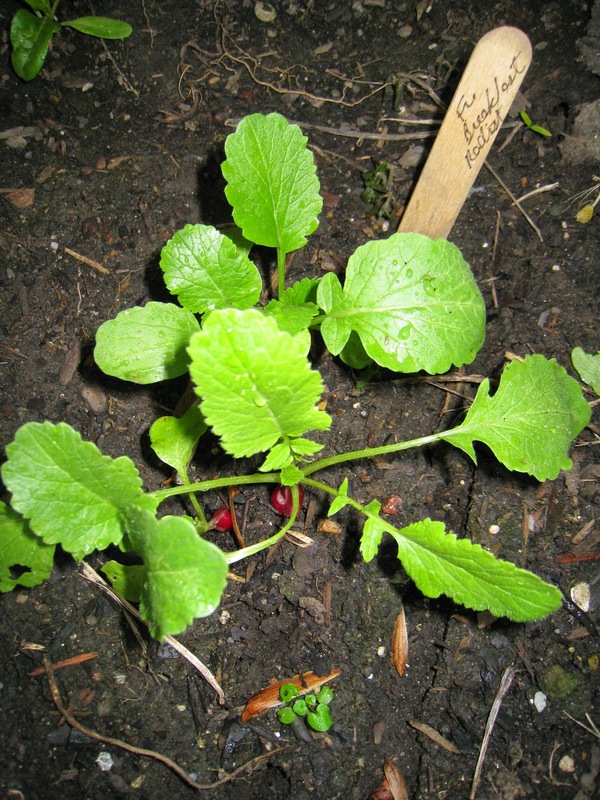 A cover crop can be planted as early as August, or as late as December. Late planting works especially well if you have a cold frame or row cover to help keep the soil warm enough for germination to occur. Broadcast seed evenly through the bed and rake it under. We use winter rye, since it can be planted late in the season, is cold-hardy, and grows in just about any type of soil. Be sure to turn under your cover crop one month before Spring planting. In the meantime, catch some snow flakes on your tongue, go for a winter hike, and enjoy the winter beauty! This is very interesting! What does it mean to "broadcast seed"?